What is the best way to deal with the small worms that live in the new growth of my budleia plants? The worm causes the young new leaves to stick together and if the flowers grow at all, they are deformed. Thank you! 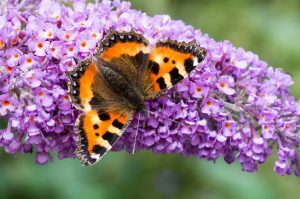 Buddleia plants produce beautiful flowers which attract a range of insects. Commonly referred to as the “butterfly bush”, the worm doing the damage is actually the larvae stage of moth. As you probably noticed, moths like buddleia’s too but unlike the butterflies which visit, the moths will lay eggs on the plant which yield the damaging bud worms. To manage an active problem, you can treat with BT DUST. This contains a bacteria which will kill the larvae if they eat it. Since the dust is subject to rapid degradation, you’ll need to renew applications once a week as flowers develop. Failure to treat frequently will leave the buds unprotected and damage will almost certainly appear. 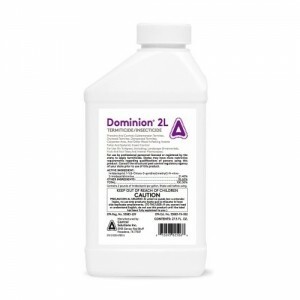 A better approach is spray the plant with DOMINION 2L. 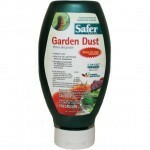 This non-repellent will last 2 weeks when applied to the foliage and bark. Hatching budworms will walk over the chemical, pick up a lethal dose and die within 2 days. Dominion is generally applied as a systemic so it can grow into the plant. This is the best way to use it so anything that tries to eat the plant will die. But since you’ll have many insects like bees and butterflies frequently the bush, you shouldn’t use it this way to keep them safe. But spraying the trunk and foliage of developing flowers before they bloom won’t pose a hazard to beneficial insects since the spray will break down after a couple of weeks and be gone by the time the flowers appear. Mix 1/2 oz per gallon of water and spray any plant, shrub or tree you want to protect for 2-3 weeks. Treating early in the season, before eggs hatch, will ensure you have a protective barrier in place for when they appear.